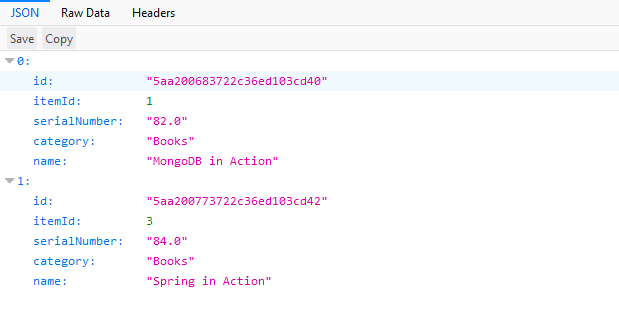 In this tutorials, we are going to show how to work with Spring Boot MongoDB with Spring Data. Install or setup MongoDB if you do not have and execute the below commands in mongodb shell to create mongodb document and inserting data. Created item document and inserted 4 items in it. 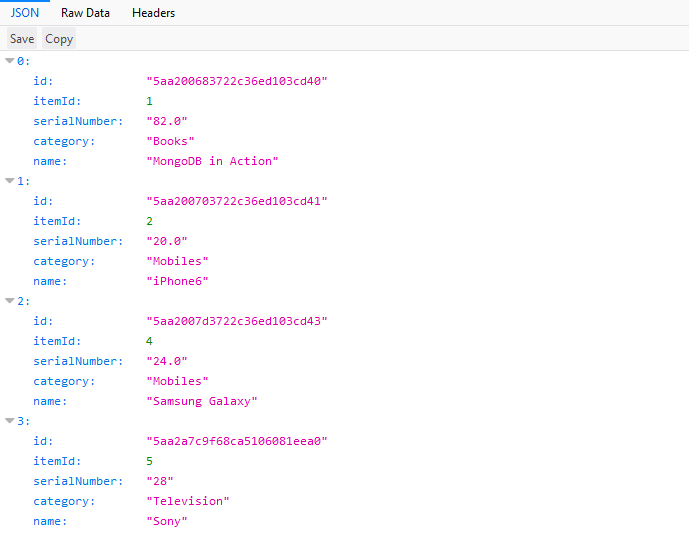 Creating Model, which represents MongoDB document. 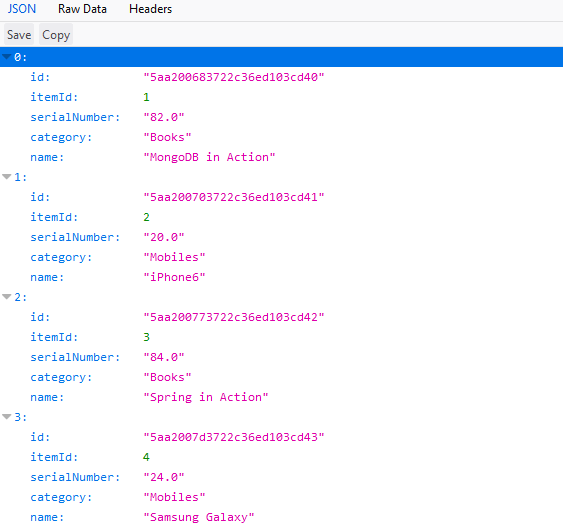 Creating Spring Data + MongoDB repository. 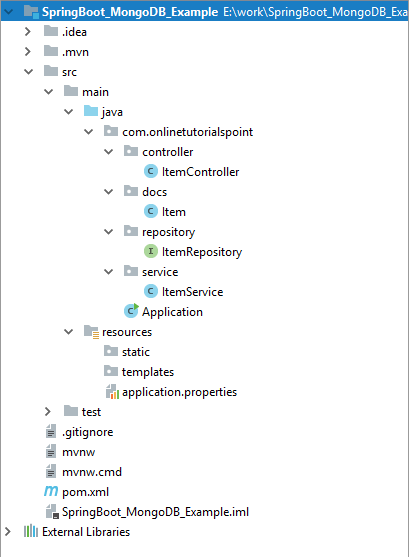 Creating Service class : Responsible to do all CRUD operations.